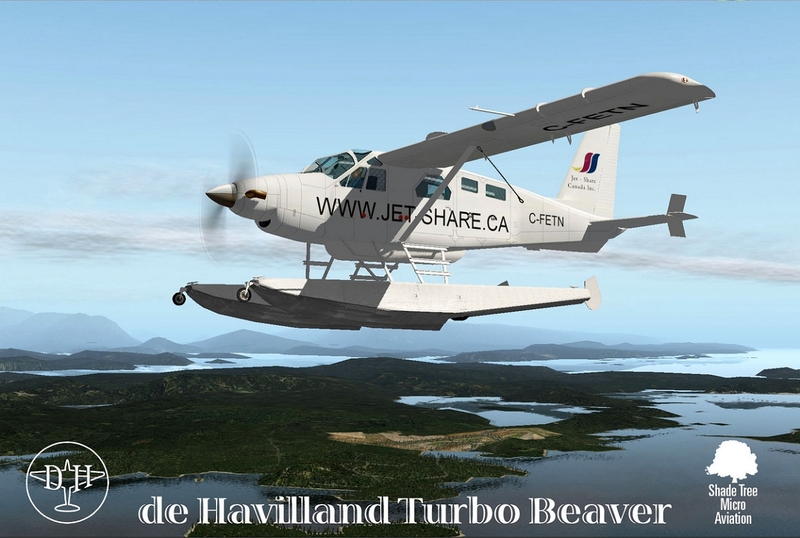 Viking Air, Ltd, a long time de Havilland Aircraft Company, Canada, parts supplier and repair station for de Havilland aircraft, began purchasing the rights to the DHC2 Beaver, and other de Havilland aircraft, when de Havilland ceased operations in the 1980s. 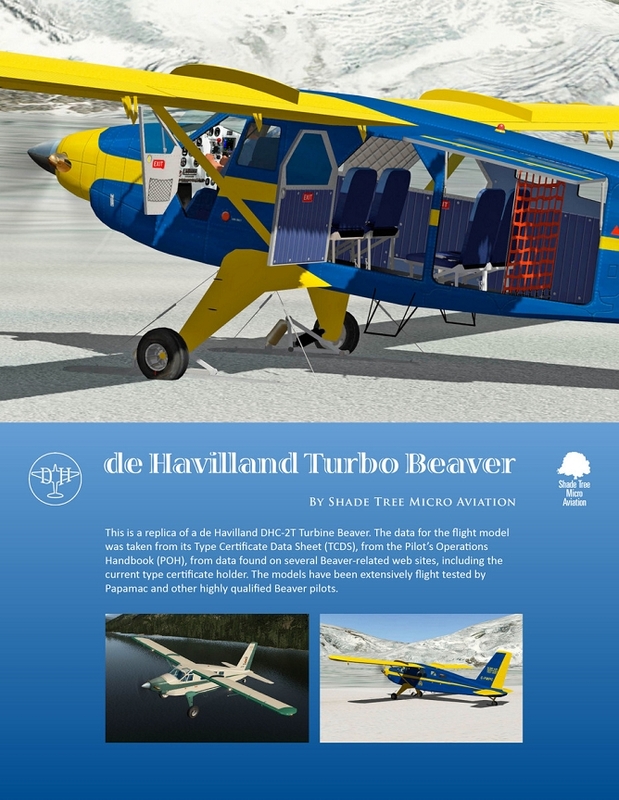 In addition to refurbishing the venerable DHC2 and maintaining the 60 PT6A-20 powered Mark II and III Beavers which de Havilland built before closing its doors, they began converting DHC2 Beavers to DHC2T (Turbo) configuration, extending the fuselage, redesigning the vertical stabilizer and rudder area, fitting them with the PT6A-27 engine, and in some cases installing new instrument panels and avionics. 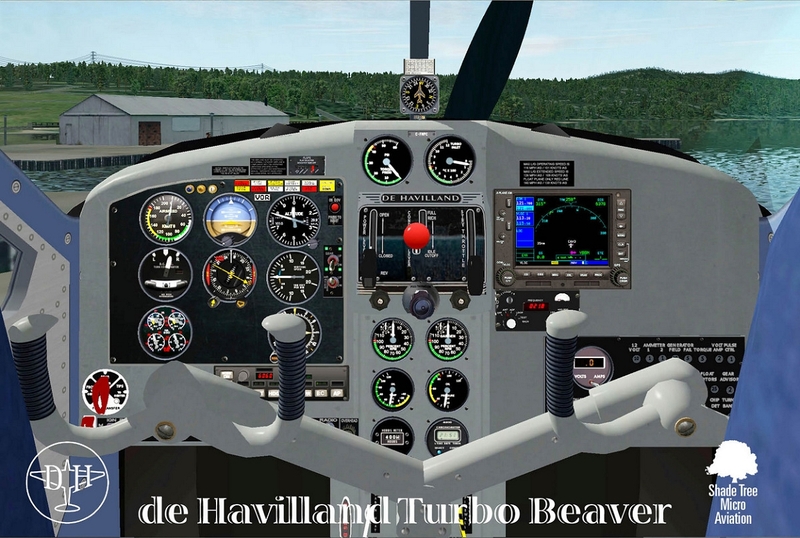 RETRO which depicts the upgrade path which many operators have chosen, fitting some modern avionics and turbine engine gauges into a reworked airframe but which retains the original Beaver smoothly curved instrument panel. 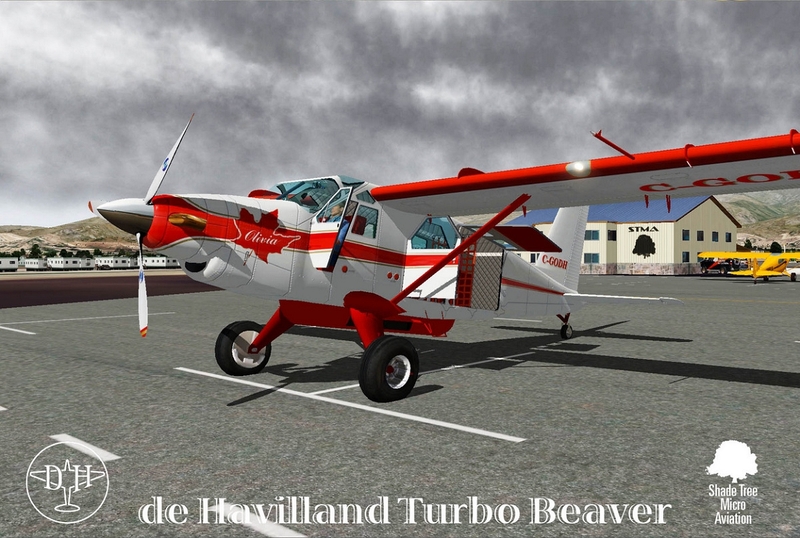 TUNDRA which has a more modern looking squared off instrument panel which offers more real estate for instruments and avionics. 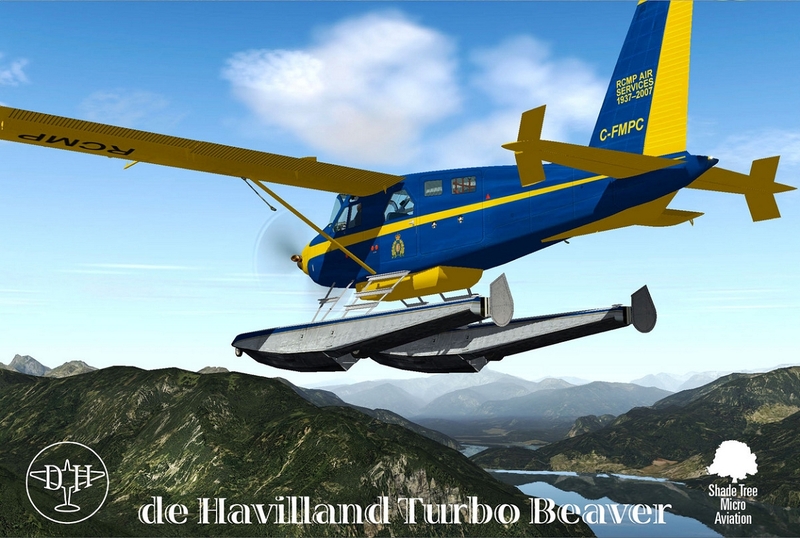 These three models are being released together, in three configurations each: Wheels, Skis, and Floats. AutoUpdate (AU). Never have to worry about downloading and apply bug-fix patches or updates again. AU does the heavy lifting for you. Completely controllable with a couple of mouse clicks. 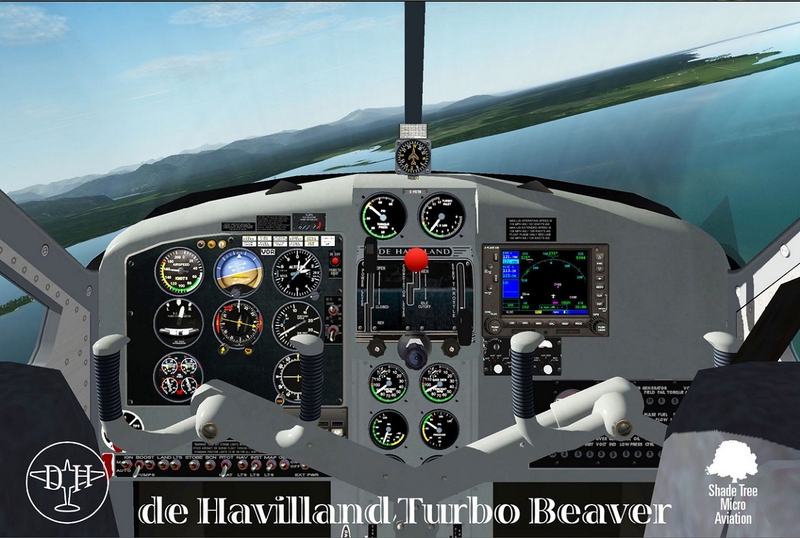 X-Plane's new GNS 530 approach-capable GPS with fully functional bezel in both the default panel mount view and when popped up (this is an intermediate size between the panel mount and the X-Plane pop-up). 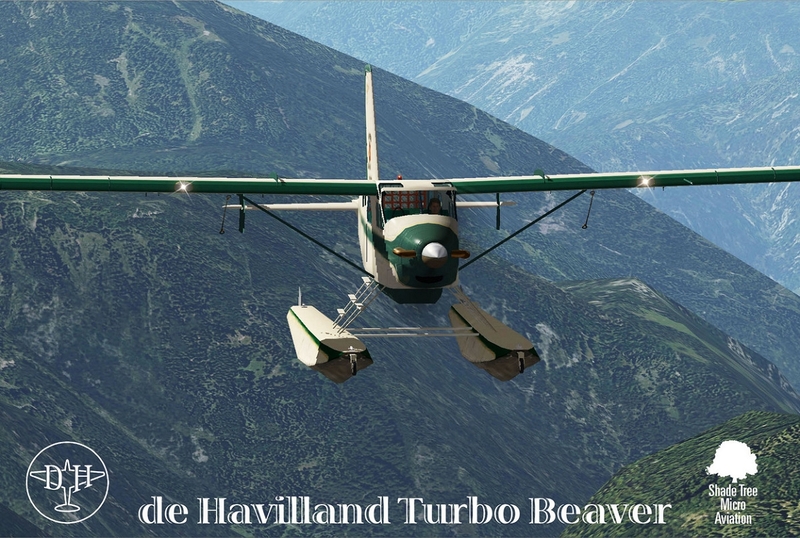 A full-functioning ADF, which receives all 3 HF frequency bands, and includes NDB loop homing, a feature which virtually all ADF have but is unique to our ADF in X-Plane. A fully animated 3D cockpit with manipulator controls. We strongly recommend our ChaseViewDeluxe (CVD) and TrackerXP (TXP) head tracking plugins to maximize viewing both in the cockpit and in exterior views. TXP requires only an inexpensive webcam to provide the same look-around viewing offered by other head trackers at a fraction of the cost. Shade Tree Micro Aviation's Dock which provides control over functions such as the popped up GPS, opening and closing doors, and raising and lowering passenger seat backs to increase light cargo storage. Both passenger and cargo interiors. Tiedown ropes. Airplane will not move with Tiedown engaged. Tiedown works on land or water. 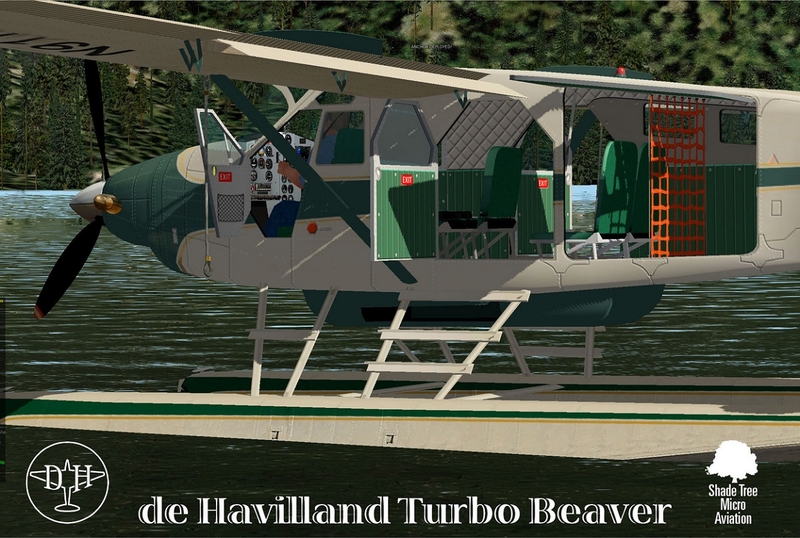 Storable remove-before-flight flags, inlet covers, pitot tube covers, and wheel chocks. Our new airport tug which uses Dock commands or our STMA Remote to maneuver the airplane into and out of our STMA Hangars or into and out of parking spots on the ramp. 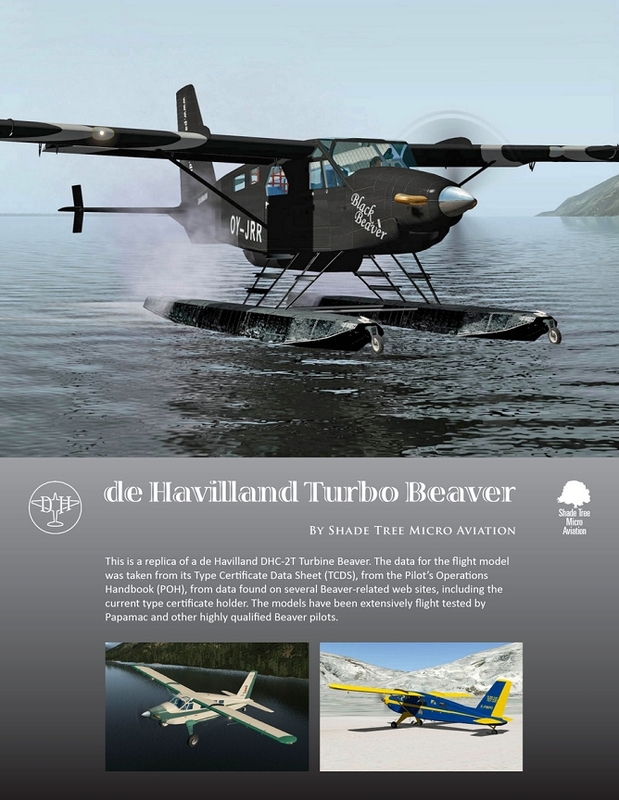 Design by Shade Tree Micro Aviation (STMA).